Counting fish in the ocean isn’t easy—particularly when they swim among jagged rocks and along undersea cliffs hundreds of feet below the waves. To help, the Monterey Bay Aquarium Research Institute has developed a new camera system called the Benthic Observation Survey System, or BOSS. 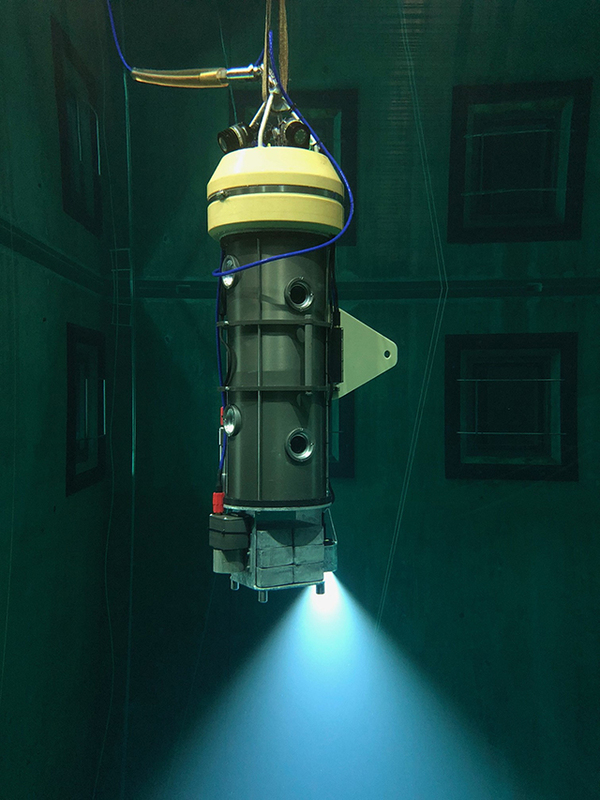 A five-foot metal cylinder that features an array of cameras and lights, the BOSS is designed to be lowered from a ship to the seafloor and land upright on rocky terrain. There, it will help scientists survey fish populations using eight high-definition video cameras. Researchers and policymakers need this technology to find out more about life in the ocean and how to better protect it. MBARI developed the BOSS with input from investigators at Moss Landing Marine Laboratories and The Nature Conservancy . “The scientists I’m working with are looking at areas that previously were heavily fished out,” explains MBARI staff engineer Chad Kecy, who led the effort to design and build the BOSS. Chad and his colleagues are trying to get a better understanding of how fish populations are recovering in these areas, what species are present, how big they are and where they swim. Chad likes the challenge of solving problems on a tight timeline. The BOSS had to be built and tested in a matter of months, because the scientists who planned to deploy it already had research trips scheduled on boats that could not wait. “Now the scientists are busy analyzing all this video they were able to capture with the tool that we developed,” Chad says.